Few things make more sense in the 21st century than biodiesel. 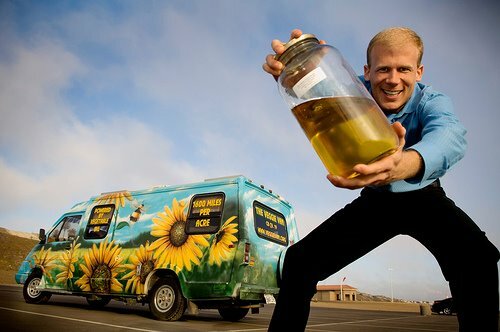 Using old french fry oil to power that cube van is good for every single entry of a triple bottom line. Assuming you can get your hands on a source free oil, which is getting harder but still very possible, you can run a diesel engine for 58 cents a gallon. 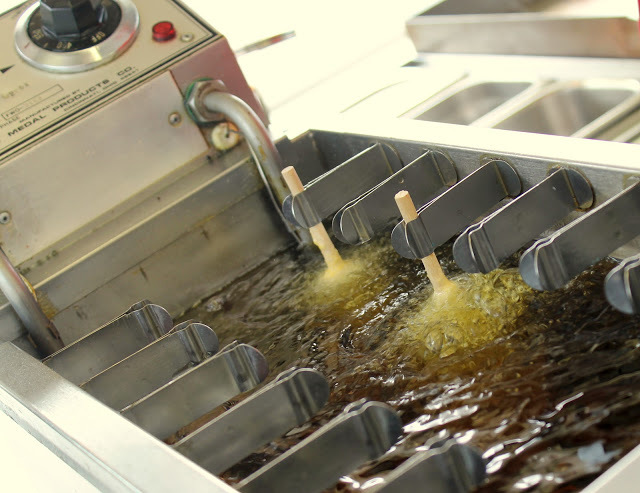 The most common outlets for a source of free used oil are fast food establishments and oriental restaurants. Often times they will let you take those millions upon millions of calories away, absolutely free. What a world we live in. You can’t just wet-dry vac the fryer into the gas tank. The oil needs processing to become you can use it. This is a very rudimentary overview of the process for turning used oil into clean burning biodiesel.. I learned about making biodiesel from the Biodiesel Handbook. You can read the first few pages on Amazon. Filter out everything that isn’t oil. You really don’t want leftover fried chicken shrapnel piped into your combustion chamber. Add lye in the correct quantity. You can make your own lye in a bucket with old fireplace ashes if you know what you’re doing. Mix thoroughly for an extended period of time. Many home biodiesel brewers use a mount with electric mixer. This thorough mixing encourages the chemical reaction producing the fuel. 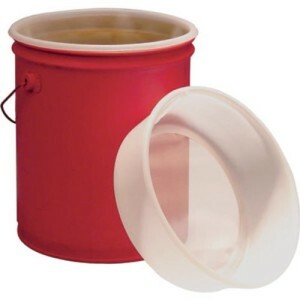 A home biodiesel plant runs on buckets and drums. It’s carted in, processed in, then stored in 5 gallon and 55 gallon quantities. Here’s the filter that home diesel makers use to filter out foreign materials. It snaps safely into a biodiesel bucket. It comes from Duda Diesel, a company specializing in home biodiesel equipment. Of course whenever you’re dealing with lye you’ve got to be extremely careful so treat this advice as informational only unless you can get the proper hazmat training it takes to brew up your own fuel. And although biodiesel is more stable than most types of fuels, it’s still nothing to trifle with. Follow all safety guidelines and make sure to wear goggles if you’re getting into biodiesel. Does Your Ride Run on Gas Instead? Most american cars are gasoline, but that doesn’t mean you can’t also brew your own fuel too. Gasoline cars can burn ethanol, which you can make cheap from old donuts and farm bread. Resources for ethanol production for transport are over on our Ethanol Still article.